Welcome! Today I am playing with greens with some added sparkle. I stamped Power Poppy stamps from Sassy Succulents with Memento Bamboo Leaves ink and colored the image with Memento green markers and green Copics in several shades of green. 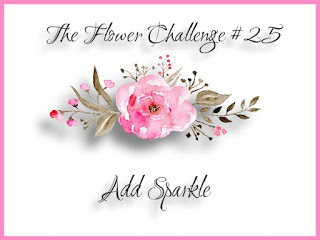 Added sparkle to the flowers and words with Star Dust pen. Adhered this to a mat of Green Glitter paper which married well with my colors. 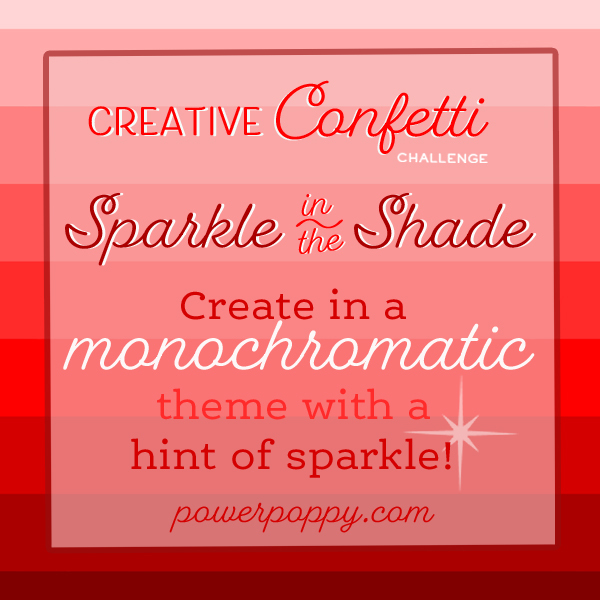 Love how my monochromatic design turned out. Hope you can see the sparkle on the image and words. 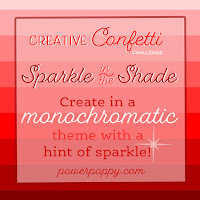 Creative Confetti Challenge at Power Poppy: Sparkle in the Shade-create a monochromatic theme with a hint of sparkle. What a beautiful monochromatic CAS design! Fabulous shading on the succulents! 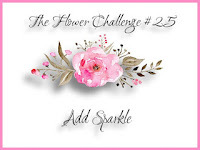 Thank you so much for joining us at The Flower Challenge with your sparkly creation!